September 30th, 2017 – Hundreds of people gathered at the Computer History Museum for the first-ever Silicon Valley Science and Technology Forum. 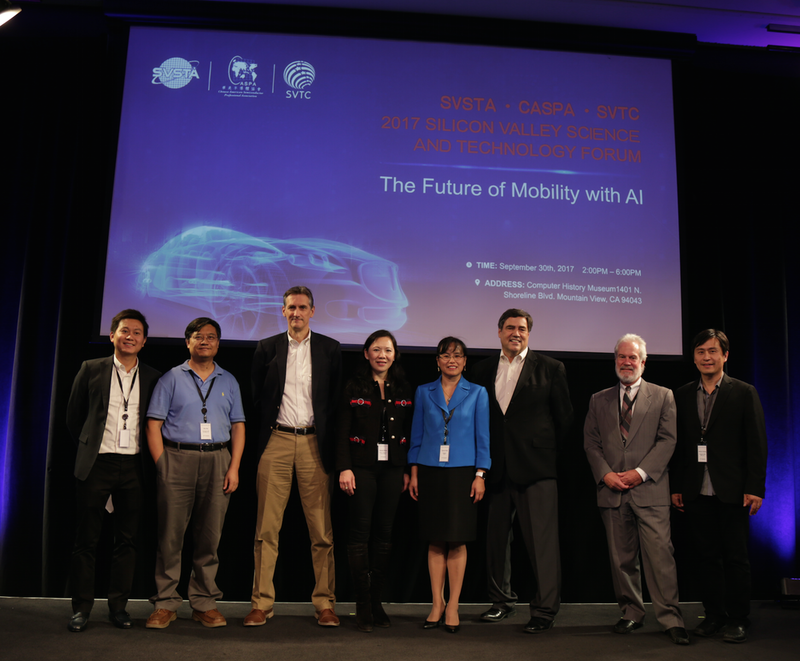 Hosted by Silicon Valley Technology Council (SVTC) + Constellar Ventures, the annual forum explored how AI was impacting the mobility industry. We invited several keynote speakers from the fields of AI and autonomous driving. They shared their pioneering insights in autonomous driving technology, AI big data, information display, operator experience, semiconductors, and more with our audience, offering diverse perspectives into the development of AI technology in mobility. Among our speakers, we had Jim Handy, former general director at Gerson Lehrman Group and renowned semiconductor analyst at Objective Analysis. As a leading industry expert, Handy discussed how autonomous vehicles could become one of the most important markets for the semiconductor industry. Another one of our keynote speakers was Tony Han, former Chief Scientist of Baidu’s Autonomous Driving Unit and current CTO of Jingchi.ai. As the supervisor of R&D, he shared the technological advancements that Jingchi.ai was making in developing AI for use in safe, efficient and cost-effective autonomous vehicles. Our managing director, Ming Lin, expressed his hope that “everybody left having learned something new from these outstanding speakers” and his anticipation for next year’s forum. The annual forum is meant to introduce some of the most advanced scientific and technological developments to all who are interested; among the guests this year, we not only had a manufacturer of autonomous vehicles but also had investors and enterprise consultants. 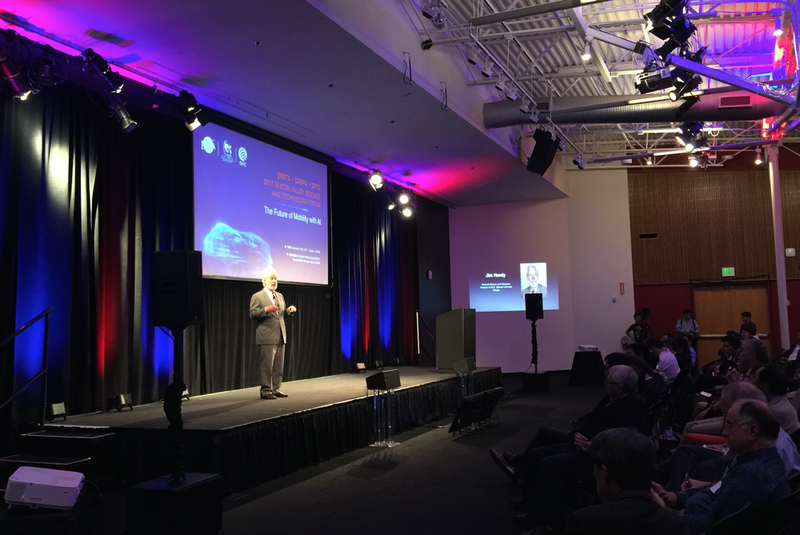 This event could not have been held without the help of our strategic partner Silicon Valley Science and Technology Association (SVSTA) and Chinese American Semiconductor Professional Association (CASPA) as well as the sponsorship of Guangzhou Zhonghuan Investors’ Group and Guangzhou GoogolPark. We would like to express our appreciation for their full support in organizing this event and connecting us to outstanding AI and autonomous vehicle industry leaders. Finally, we would like to thank all the guests for being a wonderful and attentive audience and the volunteers for ensuring the everything ran smoothly. We would like to thank everyone, from those on stage to those behind the scenes, and we hope to see you again at next year’s forum!